Describe or show a scene from a book, movie or television show (or all three!) that scared you the most. Stephen King penned “It” just for me. I loved and hated the book. The moment that stands out to me the most is when Pennywise is calling for Georgie (Bill’s doomed little brother) from the sewer. 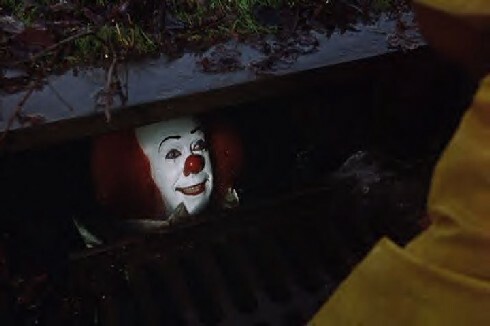 If I am remembering this correctly, this is the first time we hear him say, “We all float down here.” That phrase, fortunately isn't used often in "real life" because it creeps me out! The clown is the epitome of a wolf in sheep’s clothing. Clowns are supposed to be happy and funny, not tormenting and evil. 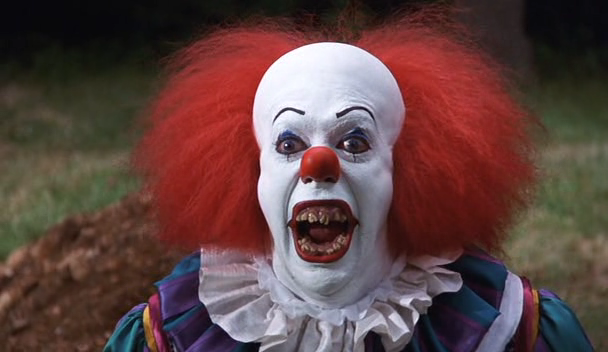 Pennywise, captures every fear most children can ever have. He is present and knowing, eyes on you even in your most private moments.